Transfer guided from early age by famous  and once infamous  father. For now, at least, Kendal Thompson&apos;s story cannot begin without a short biography of the man who made him. If we lived in Moore, Oklahoma, where Kendal grew up, it&apos;d be enough just to write his name. Charles was a wishbone quarterback for Oklahoma in 1987 and 1988. He embodied the heights of Sooners football, appearing on the cover of Sports Illustrated after leading Barry Switzer&apos;s No. 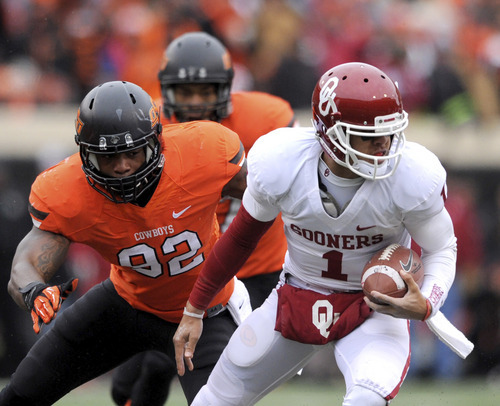 2 Sooners to a win over Tom Osbourne&apos;s No. 1 Huskers, and he embodied the lows of Sooners football, appearing on the cover of Sports Illustrated in a prison jumpsuit after trying to sell cocaine to a federal agent. For his crime, Charles lost 17 months of his free life and a chance to be a star in the National Football League. Instead, he became a fine running back in the Canadian Football League and NFL Europe. 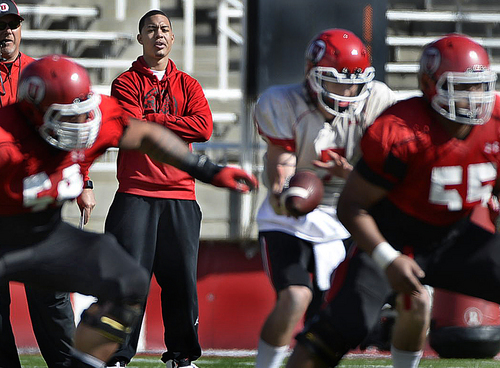 He became a local radio personality, a quarterback trainer and a sales consultant. In that, fatherhood, lies his shot at absolution. He tells Kendal: "You want to be remembered as more than the son of Charles Thompson. You want to flip the script. You want Charles Thompson to be remembered as Kendal&apos;s dad." Ready, set, tyke! 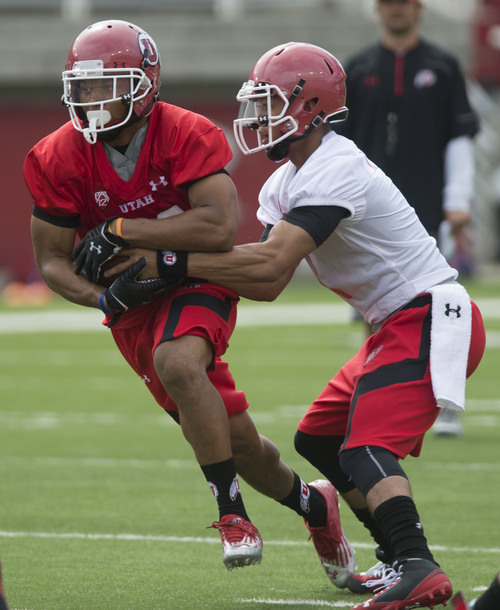 • Views range on Thompson&apos;s first week as a Ute, but it has gone considerably better than his initial athletic debut. At 3, he started T-ball, and Charles wasn&apos;t impressed. "I guess he was expecting me to be some stud that early, and I was out in left field playing in the dirt, with my back facing the plate," Kendal remembers, smiling. Charles eventually decided Kendal&apos;s greatest talent was that he could quickly process information, and so he determined that Kendal would become a quarterback. 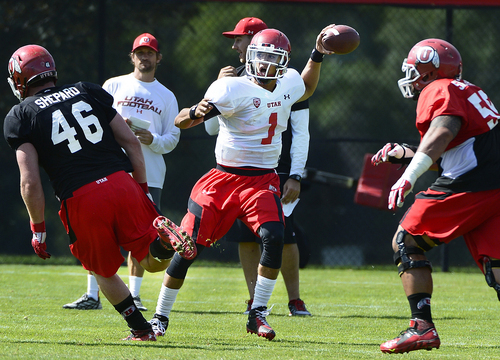 Not a wishbone quarterback, like Charles, but a drop-back, pocket-passing, NFL quarterback. When Kendal was 7, Charles began sitting him down for regular film sessions. If Kendal saw seven defenders on one side of the ball, that meant there were four on the other, Charles would tell him. "He used to hate it," Charles admits, but, "Kendal was formed to really understand the game from a schematic and fundamental and preparation standpoint." By age 9, he was calling audibles. Charles coached Kendal&apos;s youth teams and booked travel games to acquaint Kendal with road environments. Once, in Kansas, their team was down four when 12-year-old Kendal took the field for a last-ditch drive. Before Charles could call in the play, Kendal implored, "Dad, I&apos;ve got it, I&apos;ve got it." His call: a bootleg play-action throwback pass. It went for a touchdown, and the Thompsons won. Growing pains • Moore has three high schools in 6A, Oklahoma&apos;s highest classification. Westmoore was the traditional power, but the Thompsons calculated that just-opened Southmoore was a better platform for Kendal&apos;s quarterback skills. Charles knew Southmoore offensive coordinator Jon Freeman, who planned to run a no-huddle spread offense that suited Kendal (and, incidentally, was inspired by current Utah offensive coordinator Dave Christensen). Freeman gave playbooks to incoming players in advance of practice, and Kendal arrived knowing 90 percent of the offense, Freeman says. "I never coached a smarter football player, a more focused football player, and a more mature football player ... You can&apos;t overload him." Physically, though, Kendal was still maturing. 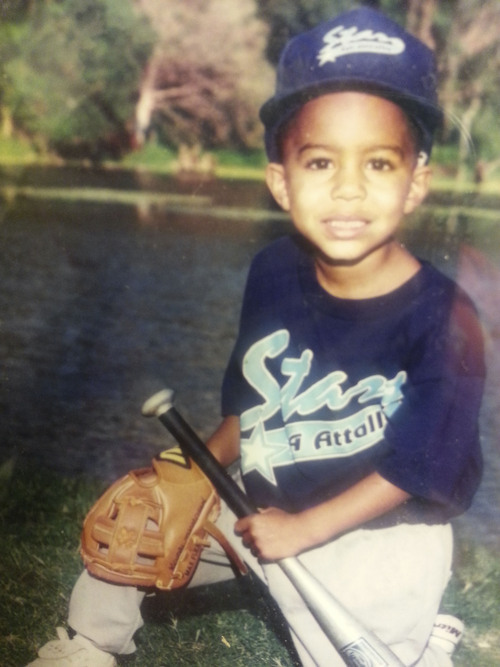 He sprouted from 5-foot-6 as a freshman to 6-1 as a sophomore, and growth plate issues caused hip pain. 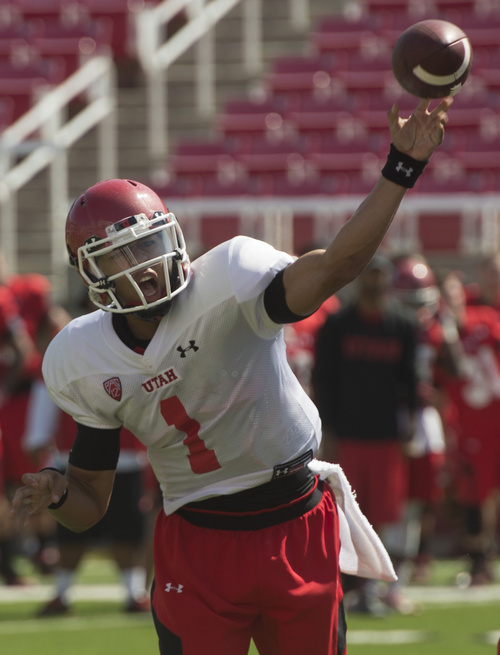 Before the first five games, Kendal says  though Charles says he doesn&apos;t recall it  he took cortisone shots. Then, at 2-3, facing Edmond Santa Fe, Kendal was drilled from the blind side while delivering a touchdown pass down the right sideline. His hip fractured. His season ended. Southmoore didn&apos;t win again. After the season, then-head coach Chris Jensen decided that due to matters he couldn&apos;t (and still won&apos;t) disclose, he had to let Jon Freeman go. Jensen played in high school with Charles and was an offensive lineman at Oklahoma, but Charles threatened to take Kendal to another school. "I was highly upset about [Freeman&apos;s departure]," Charles says. "I didn&apos;t understand it, and more so because nobody was supplying us the reason." Jensen says he gained immense respect for Kendal when he heard what happened after dad returned home. "Kendal came in and said, &apos;Look, Dad, you&apos;ve taught me that through life there are going to be things that are going to be unexpected. Maybe it&apos;s time for me to step up to be more of a leader and take a stronger role.&apos; " Charles recalls. " &apos;I believe in myself. If you believe in me, then we&apos;ll be fine.&apos; "
As a junior he threw for 2,798 yards and 29 touchdowns, garnering interest from Florida, Oregon, and, of course, Oklahoma, who didn&apos;t flinch when a torn MCL cut short his senior season. Off the field, he carried a 4.3 GPA and won the prestigious Franklin D. Watkins Memorial Trophy as the most outstanding black scholar-athlete in the nation. 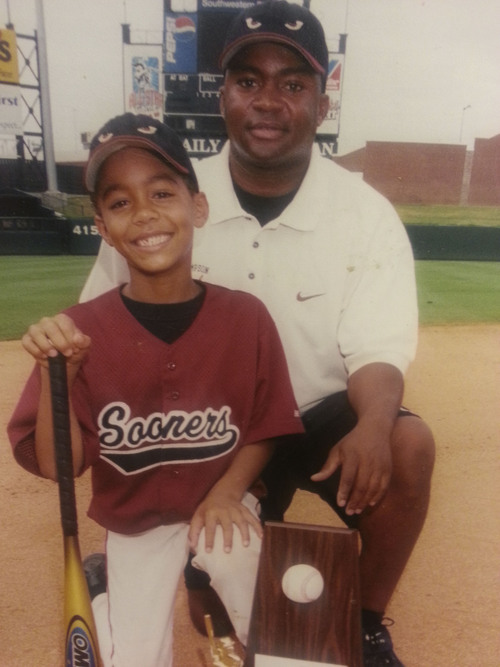 Loaded legacy • Kendal ultimately chose the Sooners, but not before the father and son had a serious conversation and wrestled with the big, overriding question: Charles asked Kendal if he was sure he wanted to be "Charles Thompson&apos;s kid" at Oklahoma. "He said, &apos;You know Dad, I&apos;ve been your son my whole life. Following your footsteps has always been pressure.&apos; I never really understood it growing up that Kendal was facing that, but he always wanted to live up to the name." Alas, Kendal was neither as good nor as bad as his father in Norman. He waited his turn behind Landry Jones and entered fall camp last year expecting to compete against Blake Bell and Trevor Knight for the starting job. On the first day, however, he broke his foot. Five months later, Knight threw for four touchdowns to beat Alabama in the Sugar Bowl, and the Thompsons felt Oklahoma might be a dead-end. 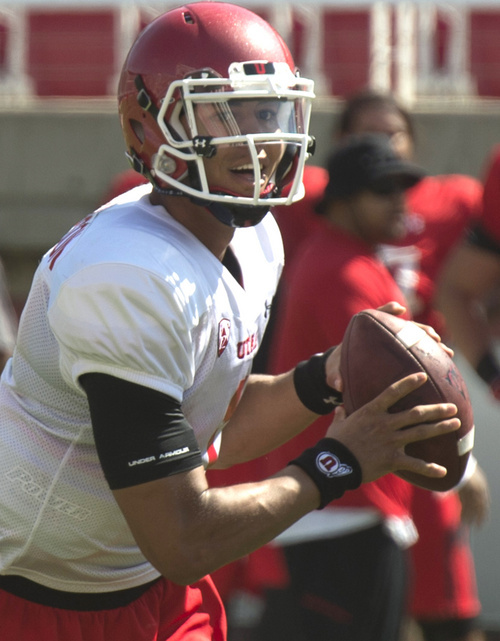 He only had 13 pass attempts as a Sooner, but Kendal credits offensive coordinator Josh Heupel for teaching him "nit-picky" details of quarterbacking, like where his eyes should be on each step of his drop. He graduated with a bachelor&apos;s in communications, and he also became a father to a girl, Kynleigh, who last week turned 3. "Being a father, it gives you a why," Charles says. "When you wake up, you&apos;ve got other people to be responsible for." When, a few days shy of his 21st birthday, he was arrested for public intoxication after falling asleep on a grassy hill outside an apartment complex, Kendal vowed to use better judgment. He no longer drinks, he says. Business trip • Oklahoma is ranked No. 3 in the Amway Coaches Poll. Had he stayed, Kendal might have been a snap or two away from starting for a national championship contender, and he&apos;d have been minutes away from his parents, his siblings, and his daughter. "The easiest thing for him to do would have been to stay there," Charles says. 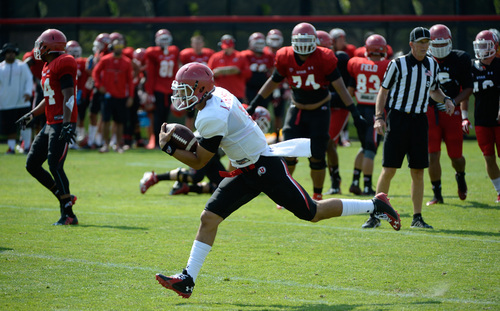 Thompson has acknowledged during the first week of fall camp that it&apos;s tough being the new guy. All he can do, he says, is work as hard as anybody without acting like he thinks he&apos;s better than anybody. "He tries to befriend everyone," says former Southmoore coach Jeff Brinkman, now an offensive coordinator under Jensen at Oklahoma Baptist. "I remember looking back and seeing him on the bus sitting next to a third- or fourth-string lineman, kind of a heavy kid who didn&apos;t have a lot of friends." But make no mistake, says Charles, "Kendal didn&apos;t come to sit on the bench. I&apos;m old school, and I&apos;ve taught him to be this way. You can be friends in the heart of competition, but at the end of the day, your objective is to be on the field." 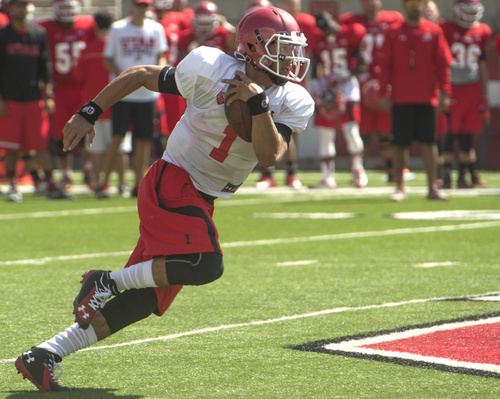 Kendal&apos;s advantages are that he knows Christensen&apos;s offense, and that head coach Kyle Whittingham values his ability to extend plays when "disaster strikes." 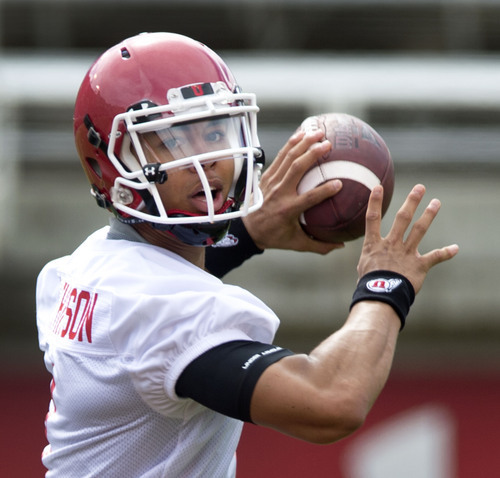 Still, junior Travis Wilson  whose medical status was uncertain while Kendal was weighing destinations  seems an entrenched incumbent. 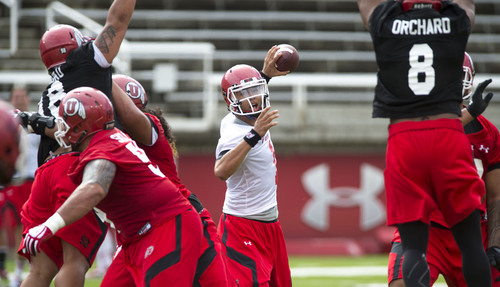 He&apos;s 6-7, he&apos;s sculpted and Whittingham says he&apos;s the better thrower. Most of all, he&apos;s a known quantity. 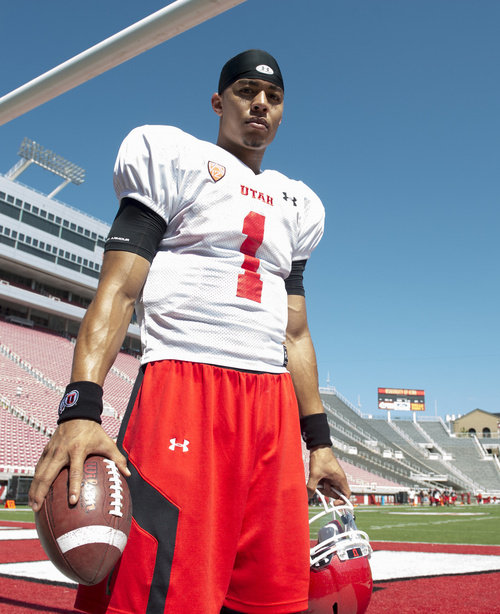 Kendal Thompson, for all his talent, for all his unwavering dedication, is not. Family ties • Father, Charles is a former Oklahoma quarterback. Cousin Antonio Perkins is a former Oklahoma cornerback, and cousin Jordan Thompson is a current West Virginia receiver. Is the son of Kori, who runs a home business and is the daughter of two teachers. Kori is half-Kiowa. Has two younger brothers, Casey and Cade, and Casey is a 2018 quarterback who might be further along for his age than Kendal was as a sophomore, Charles says. Education • Was a Franklin D. Watkins Memorial Trophy winner at Southmoore High as the nation&apos;s premier black scholar-athlete. Had a 4.3 GPA in high school. Graduated in three years from Oklahoma with a bachelor&apos;s degree in communications. According to his U. bio, plans to pursue a postgraduate degree in educational psychology. 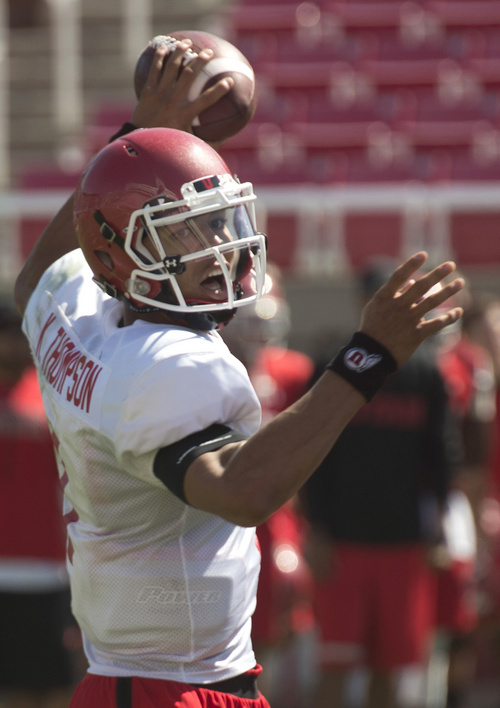 Attributes • Most often, when speaking about Thompson, his coaches talk about his ability to "extend plays." A couple were careful to make the distinction though that he isn&apos;t so much a rusher as somebody who can break free from the pocket and keep his eyes downfield to find a receiver. And while his father had exceptional breakaway speed, former Southmoore coach Chris Jensen says Kendal&apos;s strength is that he can quickly change directions.